Sears-Craftsman 4-1/8" Joiner Drive belt. Model 149.236223, Sears-Craftsman timing belt 2292-032-00. Sears timing belt (sub) DP229203200. 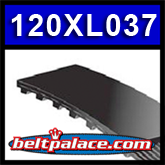 Sears 2292.32 Belt. Craftsman Planer 149.236220 or 149.236320. Sears Part #DP229203200, Substitution #2292-032-00.